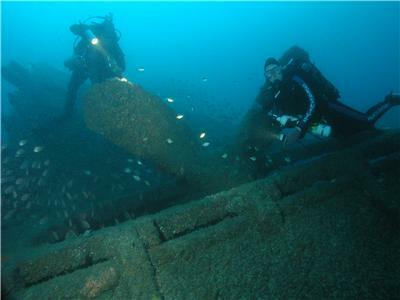 The SS Tuggerah, lying 2.2 kilometres off the coast of Royal National Park on Sydney's south, was one of the "Sixty Miler" steam powered colliers that plied the New South Wales coast for about 140 years from the mid-1800s till the 1990s (yes, the last one did not actually finish until the early 1990s). Built by Clyde Ship Building and Engineering Company Ltd at Port Glasgow, Scotland for the Wallarah Coal Company Limited, the Tuggerah was launched in 1912 (not sure what date but on 31 August 1912 it was in the fitting out basin) and appears to have been completed in October 1912. Displacing 749 tons and 186.3 feet (55.9 metres) long and 28.9 feet (8.7 metres) wide, it was powered by a 927 hp triple expansion steam engine with the steam provided by two scotch boilers. 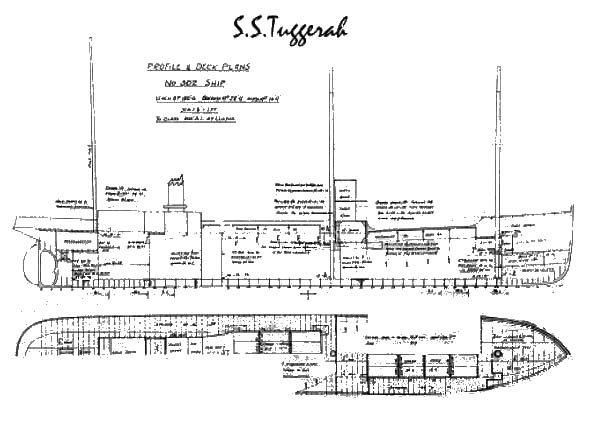 Various web sites and people claim that the Tuggerah had an identical sistership, SS Beulah, but this is incorrect as the Beulah was over 10 metres longer and the masts are in different spots to shown on the plans (see below). There are also some photos of a ship called SS Tuggerah but this is another ship it would seem (I used to have on here but decided after some more investigation that it was not the same ship). The Tuggerah was used on both the southern and northern coalfield runs and had a relatively incident free career. In August 1917 during the NSW mine strike, the Tuggerah, was one of the 29 coastal colliers commandeered by the NSW Government. Also taken over were the Undola, Myola, Belbowrie, Hall Caine, Galava and Duckenfield. There was a problem getting crew to man these ships. On the day the strike ended, Tuesday 28 August 1917, the Tuggerah arrived in Sydney with a load of coal from the Wallarah Colliery. On 26 October she ran aground near the entrance to Wollongong Harbour 1918. It suffered a fair bit of damage and required repairs back in Sydney at the Morts Dock. Less than five months after the loss of the SS Undola off Garie Beach in Royal National Park and less than six weeks after the loss of the SS Myola north of Sydney Heads, the Tuggerah was to be lost in a violent storm. After loading 820 tons of coal at the Bulli Jetty on Saturday 16 May 1919, the Tuggerah put to sea at 2.30 pm. During the preceding few days, fairly strong seas had been running along the coast but the weather was not exceptionally rough at the jetty. When she left Bulli, the Tuggerah was noticed to have a slight list to port and coal was not evenly distributed in the holds and 10 tons of coal was on the deck. Rather than trim the boat and fix the hatches before leaving the wharf, the skipper, Captain McConachie, decided to do it at sea. It is not known why the coal was not trimmed before she left Bulli, but a good guess is that it would have delayed the Tuggerah and cost the owners money. Soon after passing Bulli Reef, it became obvious that the seas were worse than previously thought. Despite this, the ship continued north, all the way taking water on board due to the list and the fact that the two hatches were not in place. The crew faced considerable difficulty in trimming the coal due to the seas. Just after 4 pm when off Marley Beach in Royal National Park, a huge wave, later estimated as six metres, came over the port side. Within a few minutes the Tuggerah "turned turtle, and sank". As the ship rolled, Captain McConachie saw she was doomed and ordered the lifeboat to be launched. The Tuggerah went down stern first and the survivors scrambled into the only lifeboat salvaged. After an hour searching for other survivors, the 11 lucky crew rowed to Port Hacking, arriving on the beach at Cronulla at 7.15 pm. Six persons died, including Captain McConachie. However, one survivor was Thorvald Thomsen. Six weeks earlier he had been absent from the SS Myola when she sank (all the crew were in quarantine due to influenza) and almost 30 years later he survived the sinking of the SS Bombo. A Marine Court of Inquiry was held but it did not find anyone to blame for the sinking. Subsequently, on Wednesday 4 June 1919, the Treasurer of NSW, J. C. L. Fitzpatrick, announced that a Royal Commission into the loss of the Undola, Myola and Tuggerah would be held (as well as the trade generally). However, it did not really achieve anything. Rick Poole of Pro-Diving Services told me that the wreck was discovered in early 1972 by a group from the young Pro-Diving Services. This comprised Bob Rose, Jack Rose, "Dusty" Miller, "Spud" Murphy and Charles Manning. Lindsay Howard-Smith (formerly known as Smith) told me he was there as well. They came across a number of fishing boats and found that they were anchored on the wreck. This was on Sunday 19 March 1972. Rick says that the wreck had been dived earlier he thinks (maybe in the late 1950s or early 1960s) but was lost to memory. Lindsay tells me that it was a very strong current that day and he only did a bounce dive and did not see the wreck. Rick could not dive that day for some reason and he went there within a couple of days. 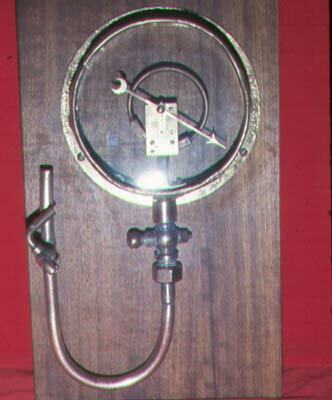 Rick still has the ship's telegraph handle (the telegraph itself was cast iron). Lindsay dived the wreck with a group two weeks later on 2 April 1972. On this dive he found a boiler gauge on the front of the boiler. This simply unscrewed and he salvaged it. It had "I Bourdon, Inventor & Manufacturer B.B.20" stamped on the side. Over the coming months Lindsay dived the wreck a number of times and found another heavy piece of brass. This was a gravity lubricator. It had six tapcocks and 6 small funnels and the top was like a cup. 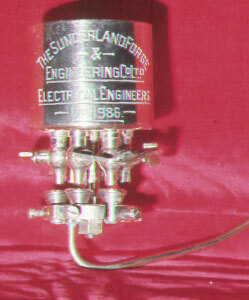 Inscribed on this was "The Sunderland Forge and Engineering Co. Ltd. Electrical Engineers No. 11986". Using this information, Lindsay discovered from the Lloyds of London the address of the manufacturer and wrote to them in early-July 1972. They replied two weeks later "The gravity lubricator was supplied as part of the 5 K.W. steam generator used by Clyde Shipbuilding Co. on ship number 302 in April 1912. 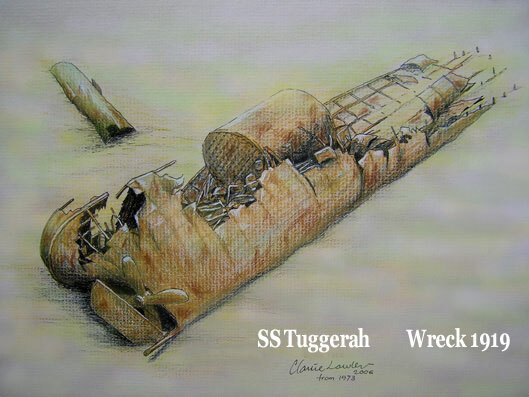 The name of the vessel was Tuggerah..." With this information, Lindsay had discovered the name of the wreck. Over this first year or so, Bob Rose salvaged the whistle, Lindsay another oil overflow box, brass electric light holders (with the glass intact) and a vacuum gauge. In mid-1973, one anchor was raised and given to the Gooyong Sea Scouts at Woronora and a well-known Sydney wreck diver has the bell (although a lot of divers dispute this claim). Lindsay told me that the bell was never found during the time he dived the wreck and he suspects it is still buried under the sand. Today the Tuggerah is lying on its port side at a maximum depth of almost 48 metres off Wattamolla in Royal National Park. Once you leave Port Hacking, head south and head approximately south (of course if you use GPS it will direct you straight to it). It is a bit almost eight kilometres from the mouth of Port Hacking to the wreck. 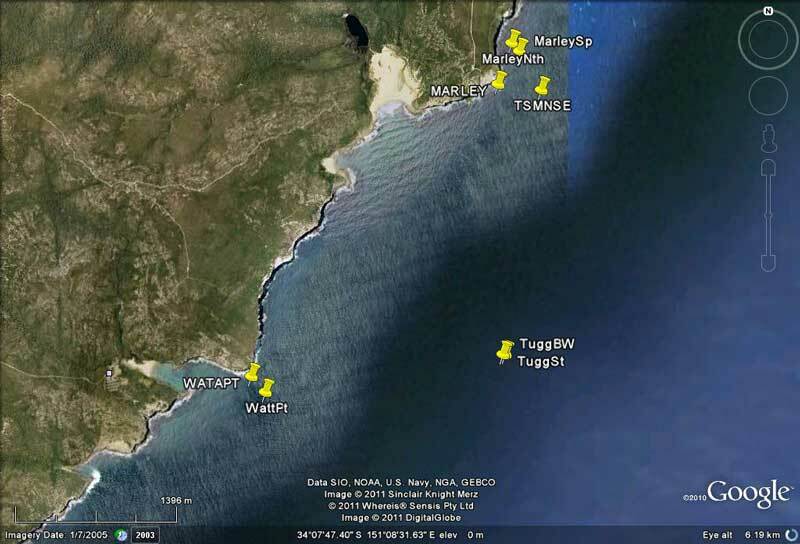 The Tuggerah is an easy wreck to find and the marks and my GPS readings will bring you right over the wreck. The GPS reading for the Tuggerah is a latitude of 34º 08' 19.9" S and longitude of 151º 09' 01.7" E. Note that all the GPS Readings on my Web Site are taken using AUS66 as the map datum. If you use another datum you may be about 220 metres off the wreck. See my GPS Page for more details and how to convert readings. The best way to anchor normally is to run towards the northern mark and the wreck will show up huge on your depth sounder due to the quantity of fish hovering over the wreck. Drop anchor on the wreck. The maximum depth is almost 49 metres (under the prop) and a dive averages 45 metres. Once you are sure the anchor has bitten, quickly head to the bottom and secure the anchor. It should be noted that the Tuggerah very often has strong currents on it, normally from the north but sometimes from the south. These are normally only at the surface but occasionally go right to the bottom. At such times you will sometimes have to use a cross-over line to pull yourself to the anchor line. Be extremely careful as it is very common for divers to be swept away from their boat here. It may even be that you will not be able to dive due to the current. This, of course, almost always coincides with blue water! This happened at least twice to me in 1998 and many times since. 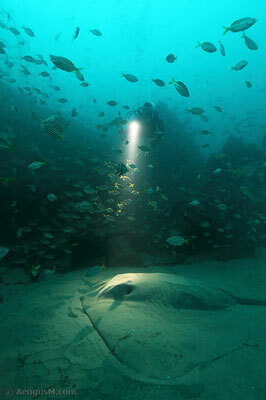 Most of these times the visibility looked to be in excess of 30 metres but the current was too strong to dive. If in doubt, play it safe and forget about the dive (try the SS Undola as although it further off the coast, it normally has less (or no) current and is normally diveable when the Tuggerah is not). I have now dived the Tuggerah more than 125 times and I have not dived it at least 40 times due to currents that made us abandon our attempts (I have also not dived it at least 150 times due to poor sea conditions that prevented us getting down to the wreck). I would suggest that once you are over the wreck the first time, cut your engine and see what happens. If you move south and the wind is not strong from the north, think about how strong the current will be. In May 2011 we moved south at 4 km/h (almost two knots) when there was a westerly wind. We decided to not anchor and headed to the Undola instead. This is, without doubt, the best dive in Sydney and as good as any in New South Wales. 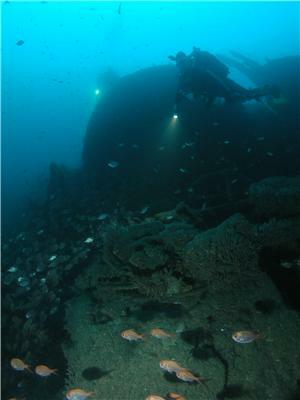 The wreck, the fishlife and the normal visibility combine to make this an unbelievable dive location. 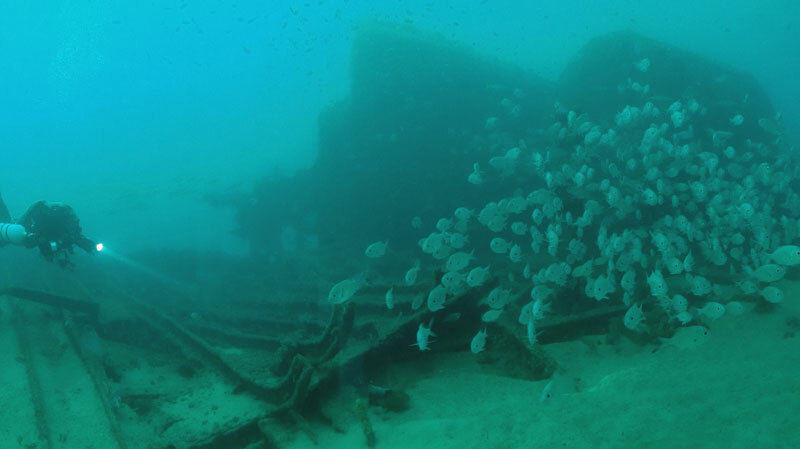 Like all of the older Sydney wrecks, the depth of the wreck has not really protected the "Tug" and it has been greatly affected by the huge seas that pound the Sydney coastline from time to time. 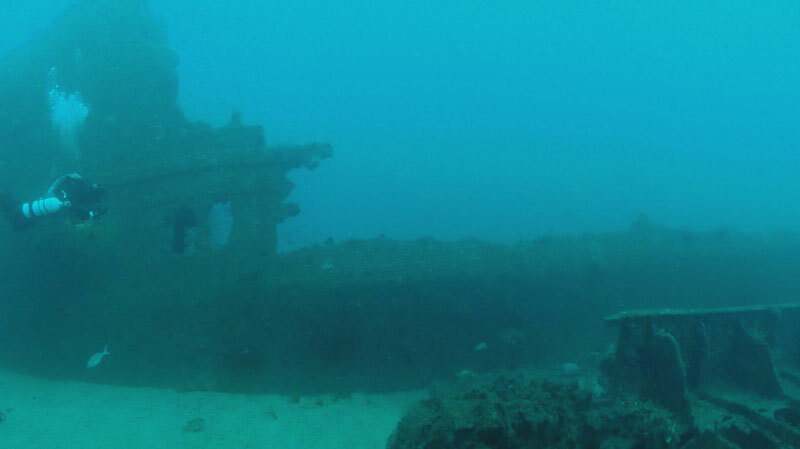 While the rear of the ship is intact to a certain degree, the area in front of the boilers is totally destroyed by the combination of seas and rust. 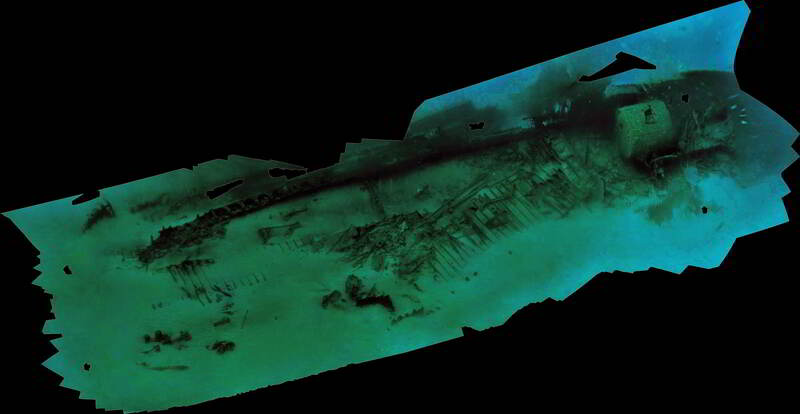 In mid-March 1994, the huge seas caused a large plate in front of the rudder to come free of the rest of the hull, a further breakdown of the wreck's structure. On the weekend of 10 and 11 May 1997, further damage was caused to the wreck by the worst seas I have seen in Sydney since the infamous storms of May 1974. A large plate above the boiler fell down between the boiler and hull, partially blocking the swim-through that used to be in this area. This has now fallen even further down and the area is again clear. Another hull plate has fallen from in front of the rudder and the whole plate area behind the engine is now very rocky. There is also some more damage in the rudder/prop area with large hull plates coming totally or partially free. The first thing you will see as you descend is fish. Millions of them! The bullseyes, nannygais and yellowtail totally envelope the wreck, making it very hard to see the wreck itself. Once you hit the bottom and have secured the anchor, look around. If you see large items, bigger than you, you are at the stern, if the pieces are broken up (girders, RSJs etc) you are towards the bow. If you see the broken up part of the wreck, follow the wreckage to the south-west. Around here you will see cuttlefish and on the sand serpent eels. If you look carefully in the sand, you will also find the rare and ugly stargazer. After a maximum of 20 metres you will come across the boilers. 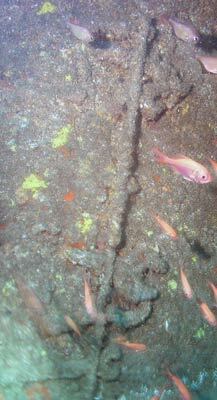 On a dive in September 2002, the holds in front of the boilers had been scoured of sand to a depth of almost two metres by huge seas a few weeks before. On a dive at that time I saw parts of the wreck that I had never seen before. However, in early 2008, the majority of this sand returned. Normally, the fishlife is so prolific that you have to be as close as two metres to actually see the boilers and a strong torch is required due to the light being blocked by the fish. Careful looking will show you that there are indeed two boilers, with the starboard the boiler the one you can see and below it, mostly buried in the sand, the port boiler. The boilers are virtually intact and often home to wobbegong sharks. As you look at the front of the boiler, there is a toilet a metre or two from the right hand corner and the hull of the Tuggerah looms up to your left. 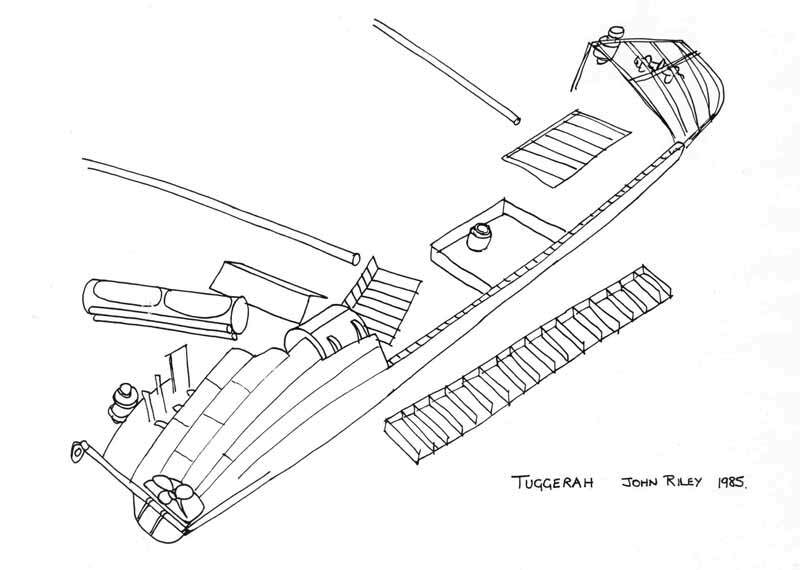 On a later dive, when you have a better understanding of the layout of the Tuggerah, you can swim between the boiler and the hull to the remains of the engine room. 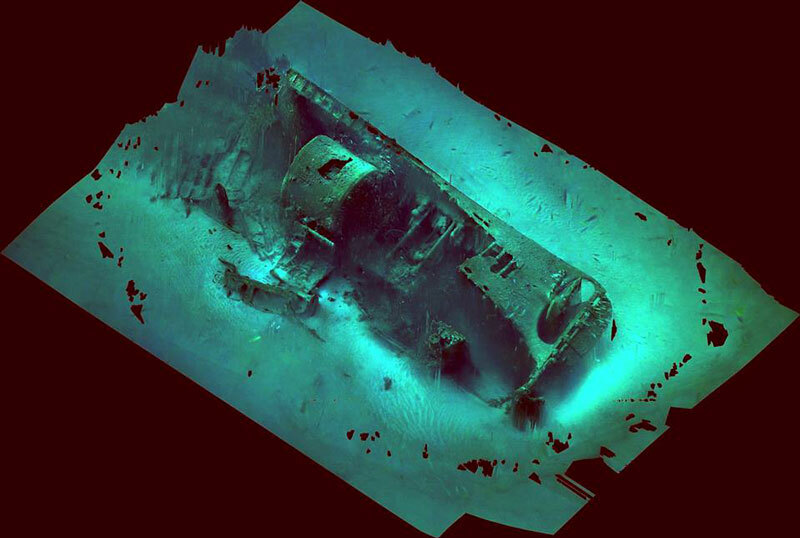 In September 2002, for the first time since I dived the wreck, you could see a large section of the lower boiler rather than a tiny bit of the top. 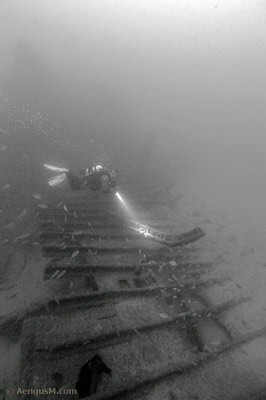 In fact, you can now swim between the two boilers and a western section of the wreck to the engine. 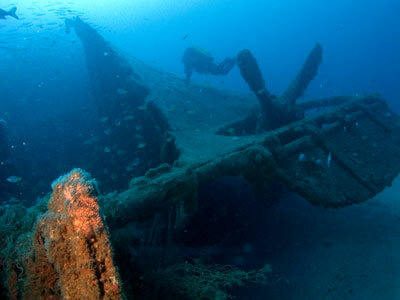 This enables you to see bits of the wreck that previously have never been visible to divers. For now, swim around the right side of the boiler to its rear. On the sand to your right you will see the remains of the ship's bridge and behind this the funnel and behind the boiler the huge cylinders and conrods of the triple expansion steam engine. Behind this there are the remains of the steering gear compartment. On one dive I discovered a human vertebrae under the engine and close to the rear of the boiler. If you swim into the dark area to the south of the engine (under the major part of the hull) you will see the workshop area of the engine room. On the rear wall (this is the wall closest to the prop) if you look carefully, you will see that the wall has two (vertical as you look at them) rows of tools. These include large spanners of different sizes and types and many other tools. See the photo below left. Off on the sand near the bridge you will sometimes be able to see the extremely difficult to find stargazers. These incredible (and ugly) fish bury themselves completely in the sand and leave only their eyes visible. On a dive here in mid-June 1997, I saw two stargazers. One was a very large specimen and the other was a small (25 cm) fish. When disturbed by another diver, the second stargazer started to rebury itself in the sand only to be attacked and eaten by a giant cuttlefish. Both of us watched in amazement as this swift and deadly attack (it certainly could not be called a fight as there was no response from the stargazer) occurred right under us less than a metre away. To make it even better, I caught the whole thing on video! I also saw a stargazer in the bow area in August 1999 and two there in March 2000, one at the bow and stern in June 2000, one in July 2000 and one at the stern and near the mast in January 2002. Nearly every dive here in the period 1998 to 2003 produced stargazers, mostly in the bow area and under the stern. Since then, I have not seen too many. Continue past here and you will see the prop and rudder. Under the prop there is a concrete filled tyre, the remanent of a pollution experiment buoy which was dragged onto the wreck by a fishing trawler in late 1992. 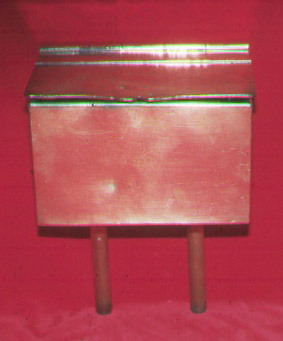 As of December 2004, there was a large metal cylindrical object here, perhaps the donkey boiler, but as of 2008 it can no longer be seen. This object has not been seen by me since I started diving this wreck in the early 1990s. There appeared to have been a lot of sand moved, also on the eastern side. There were some very large seas in November 2004, so I assume that this removed the sand. Most has now returned. 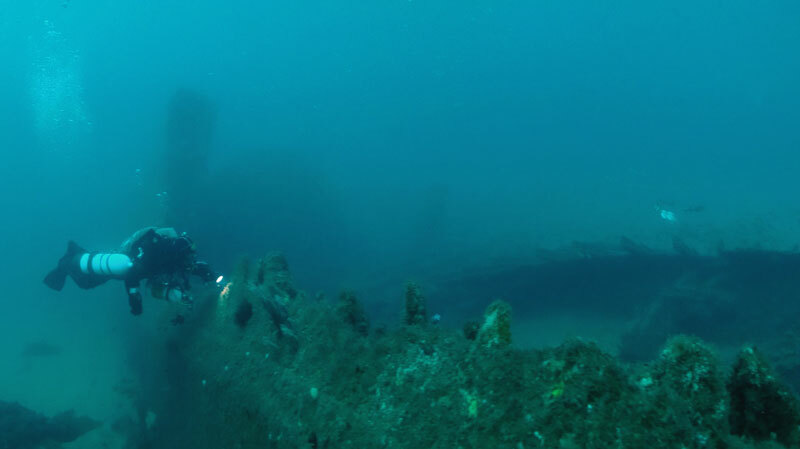 A panoramic photo of the wreck from in front of the boiler till almost the prop. The boiler is behind the bubbles at left, the engine behind the divers. There used to be some large fishing nets here but all that remains now are some small pieces. However, since September 2002 there are more visible bits of the nets as the seas have scoured out huge sections of sand, at least a metre. Once my buddy and I spent a whole dive cutting a Port Jackson shark out of a net and in June 2001 I grabbed a wobbegong by the tail and shook it free of the net (the day before, it was reported on Channel Nine News that a diver had been bitten on the wreck by a wobbegong!). In January 2002 there were two large kingfish caught in the net. In October 2006 I released another (large) wobbegong that was trapped in the net. Photographers will want to go under the prop (with one blade broken) to take the obligatory photo but beware of the wobbegongs and numbrays that are often found here. On the sand below this section of the wreck you can nearly always see serpent eels and fat sea pens and, as mentioned earlier, sometimes stargazers. It is now (September 2002) deeper here than in the 11 years before. Continue your dive along the shear walled hull of the vessel until you see the broken bits lying on the sand. You are now just in front of the boiler. There is some more fishing net here and in January 2002 there was a large kingfish caught in the net. Return to your anchor. All over the Tuggerah you will find wobbegongs and giant cuttlefish. The wobbegongs inhabit every nook and cranny. 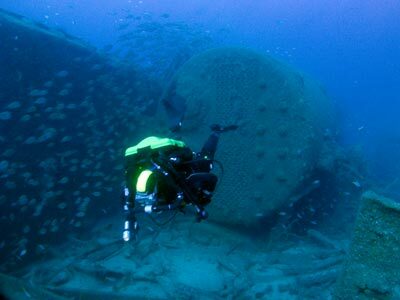 In May and June 2001 there were dozens of very large ones all over the wreck. Many a time I have accidentally knelt on one in the dark steering compartment while setting up a photograph. In May 2004 there were at least a dozen on the wreck, the most since 2001. Some were huge, at least 2.5 metres. As well as these fish, yellowtail kingfish, trevally, bream and red morwong can be found. Divers regularly see seals, both on the bottom and on the way down or up, and even sunfish, dolphins and penguins have been seen on the wreck. In August 1999 I saw a seal swoop down right into the huge throng of fish over the boiler. We then saw it right through our decompression stop, it came as close as one metre to me. In January 2002 I saw a seal swoop over my head through a huge school of yellowtail. 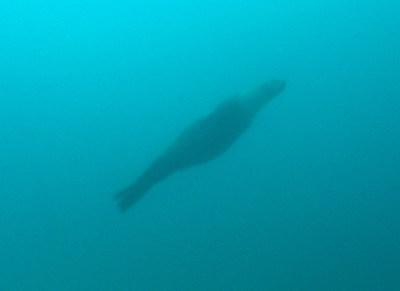 In October 2006 we saw two seals on the surface before we entered the water and one of them came up to use at the prop about five minutes into the dive. For once I managed to get a couple of photos (see above left). During late Winter, up to 100 Port Jackson sharks can be seen on a single dive on the wreck. In August 1999 I saw at least 100 sharks at the bow. In August 1998 and 1997 I saw 50 to 75 in the same area. In July 2000 there were about 120 on the wreck (I gave up counting at 85) but in September 2002 I saw none. Perhaps the best thing I have ever seen on the wreck were two (or three) grey nurse sharks we saw on a dive in May 2001. In front of the boiler we saw a very large male and a minute later a smaller male. We saw both a number of times during the dive, the smaller one particularly hanging close to us. I heard that there were there the next day as well. The sand is also home to large numbers of numbrays, serpent eels and sea pens. As I indicated above, this is a magnificent dive, possibly the best in NSW. The combination of the interesting wreck, the prolific and varied fishlife (and marine mammal life), makes every dive there exciting. Even after well over 90 dives on it, I never tire of it as a dive location. For more photos of the wreck, click here to go to the SS Tuggerah Photographs Page. As with the nearby SS Undola, the Tuggerah is a very deep dive, only for the trained, experienced and properly equipped deep diver. More so than the Undola, the Tuggerah needs additional care due to the currents and its deeper depth. An average dive of 17 minutes (using a single tank with pony bottle back up all on air) requires deco of about 1 minute at 9 metres, 4 minutes at 6 and 15 minutes at 3 metres. This is without a doubt the premier dive in Sydney and one of the best shipwreck dives in Australia. Well worth doing time and time again. Visibility is normally quite good, with three quarters of my dives having visibility of 15 metres or more. However, it can have quite poor visibility at times, although I have only had poor visibility once in the last 15 years. Surface visibility is not necessarly a good indication of the viz at the bottom, sometimes it can be very poor on top and excellent on the bottom. For example, on 28 January 2002 between 12 and 28 metres the visibility was only about 3 or 4 metres but on the bottom it was 15 metres. On 5 January 2003 it was similar on the way down but over 20 metres on bottom and on 17 January and 23 May 2004 it was at least 25 metres all over. On 3 December 2005 it was about 5 metres on the top and 25 metres on the bottom. On 22 July 2014 I had over 40 metres (I could see our boat from the anchor 45 metres down). The only regular dive charter boat that dives this wreck is Abyss Dive who started doing it in January 2016. They hope to dive here perhaps every second or third weekend or so. Video shot Saturday 9 June 2012. Not the greatest quality, as there were very large swells and a lot of surge on the bottom. 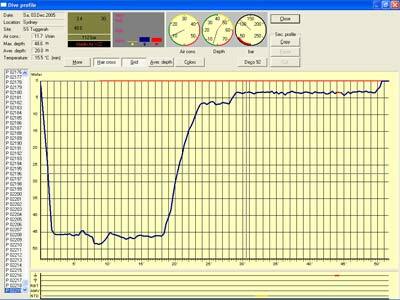 A huge 12 metre sea during the preceding week stirred up the bottom a lot. Shot with GoPro. Another video shot 26 August 2012, also with GoPro. And one more from 26 November 2012. Death of a Collier by Lindsay (Howard-)Smith, an article in Skindiving in Australia (S.I.A. - now called Sportdiving), Vol 3 No 4, late 1973.